First came the homebrewers. Without them we wouldn’t have the vibrant modern beer culture that so many of us enjoy today. Take Sierra Nevada’s Ken Grossman as the perfect example. Shortly after homebrewing was legalised in the United States by President Jimmy Carter in 1978, he founded his brewery in Chico, California based on the back of inspiration from classic British ales. Fast forward three decades and Sierra Nevada is now the second largest craft brewery in America, home to over 1000 employees and producing almost 1.5million hectolitres of beer a year—for perspective that’s more than three times the size of Fuller’s Brewery in the UK. Perhaps one of the most influential figures in modern American beer is Charlie Papazian. The former nuclear engineer founded both the American Homebrewers Association (AHA) and the Association of Brewers in his hometown of Boulder, Colorado in 1978 and 1979 respectively. In 2005 the Association of Brewers would merge with the American Brewers Association (now collectively known as the Brewers Association), in the process forming the largest trade body in the brewing industry, for which he would serve as President. For many, Papazian is considered to be the godfather of homebrew. He is the author of The Complete Joy of Homebrewing which has been reprinted almost 25 times over 3 editions, having sold almost one million copies. He also coined the famous phrase: “relax, have a homebrew.” If you’re musing over brewing your own, Papazian’s book is exactly where you should begin your journey. While homebrewing in Britain has never been illegal per se, it did require a license (costing 5 shillings) from 1880, until this was repealed in 1963. 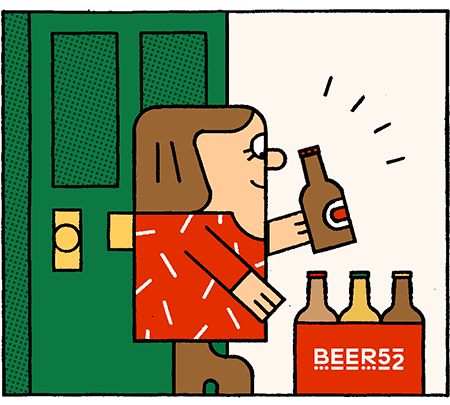 In the UK you’re free to make as much beer as you like for “personal consumption” but, should you wish to sell any beer then you’re required to register with Her Majesty’s Revenue and Customs so that you can pay the necessary tax on your beer. 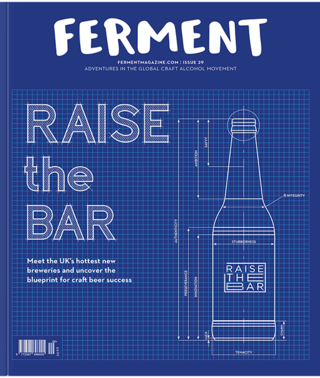 The UK is recognised as having one of the most vibrant homebrewing communities in the world. With its exploding craft beer culture, and vast population, London has become something of an epicenter for this movement, with the success of many small breweries inspiring many to pick up the mash paddle. It’s home to a multitude of homebrewing clubs, the UK’s first homebrewing conference, and even harbours many with aspirations of one day turning their hobby into a career. Although it may not have produced a brewing behemoth like Sierra Nevada, homebrewing in the existence of eager homebrewers has still been a boon for its beer industry. This is especially true from 2002 onwards, when the government introduced progressive beer duty. This sliding taxation scale meant that any brewer producing less than 5000hl (circa 880,000 pints) per year paid half the duty of its larger counterparts. This meant that many homebrewers were now able to afford to make their dreams of becoming a professional brewer a reality. One of these brewers is Andy Parker, who founded Elusive Brewing in the village of Wokingham, Berkshire, in April 2016. Before he would go on to win accolades as a professional brewer, Parker would ingratiate himself with the London homebrewing community. This came to a peak when, just two years after he began homebrewing in 2012, he won a national homebrewing award complete with £5000 in prize money. While this isn’t anywhere near the kind of funding you need to start a brewery, it set Parker on the path towards opening a brewery of his own. Parker was inspired to start brewing after trips to the Californian West Coast, after drinking the bitter, resinous IPAs offered up by breweries such as Stone and Green Flash. Before he opened Elusive he was offered a chance to brew a commercial batch of his Lord Nelson Saison with his friends at London’s Weird Beard Brew Co, a brewery also founded by former homebrewers. The beer was released as a collaboration, and was the first time the Elusive Brewing name was seen out in the wild. The London Amateur Brewers (LAB) is a group that Parker cites as being hugely beneficial to his brewing career. The organisation has an ethos built on giving honest feedback — sometimes brutally so — to its members. The LAB also has some serious luminaries on its roster, with The Kernel’s founder Evin O’Riordain once counted among its ranks. Despite the help he had here though, nothing could have prepared Parker for the realities of running a commercial brewery. Not all of London homebrewers have aspirations to turn pro, however. Many are simply content to keep it as a creative hobby. But homebrewing has evolved beyond something that lets you brew plenty of half-decent beer on the cheap. These days it’s a highly creative hobby, not dissimilar to other culinary pursuits such as cooking. It’s also a chance for many to try and emulate their favourite brews, albeit on a significantly smaller scale. In London, however, space is it a premium. Too many of us are crammed into tiny flats, with no gardens and even tinier kitchens. In order to pursue his passion for brewing, Sargent joined East London-based Brew Club, which allows its members to brew on high-end homebrewing kit that’s provided for them, in exchange for a fee. Brew Club is one of a handful of similar brewing clubs within London, which also includes Bermondsey’s UBrew and BrewDog’s Angel venue, which has its own array of homebrewing equipment. The extra space afforded to homebrewers like Sargent has plenty of advantages—perhaps even enough to tempt him down a similar path to Elusive Brewing’s Andy Parker. While the lure of professional brewing seems attractive to some, most homebrewers are still happy to see it as a creative hobby. In London this means some brewers are using this to express their creativity. In brewing this could mean coming up with your own riffs on Pale Ale or Porter — or it could mean you spend your weekends foraging for unusual ingredients and cultivating strains of wild yeast and bacteria to give your beers a real sense of place. For South London homebrewer Kat Sewell, inspiration lies within the sour and spontaneous. Sewell began homebrewing in 2011, inspired by Belgian styles, particularly Saisons and latterly sours from the likes of Cantillon, along with New Belgium in the United States. At the time, many of these styles weren’t as readily available as they are now. It turned out that the wild and mixed fermentation rabbit hole it led her down would seemingly have no end. Much of the homebrewing experience is centered around experimentation and learning whilst doing. However, the sharing of knowledge and the camaraderie that springs from this is also a crucial part of what makes homebrewing so special for many. Simon Pipola is a well known figure within the London beer scene: he’s worked behind the bar at places like The Axe in Stoke Newington and The King’s Arms in Bethnal Green and presently works as events manager at Hackney Wick’s Beer Merchants Tap. He’s also the founder of Bear Boars, one of London’s most popular homebrewing clubs. Pipola was inspired to brew in the early days of London’s beer revolution when he tried beers from the likes of The Kernel and Camden Town Brewery. He cobbled together his first homebrew kit for less than £100 just over four years ago, and has since progressed to running his own homebrewing masterclasses. For him, the community aspect of homebrewing was as appealing as the beer making itself. With the efforts of enthusiasts like Pipola, London’s homebrewing community has flourished, and there are now over 12 homebrewing clubs in the city. The clubs are also running more competitions, which brings with it a more competitive edge — something Pipola seems to relish. He took his passion even further when he launched London’s first home brewing conference, Brew Con, in 2017, and plans to bring to back again this year. Next on Pipola’s agenda is a trip to Portland, Oregon, for the annual American Homebrewers Association conference — the largest of its kind. From its humble beginnings when it was founded by Charlie Papazian in 1978, it’s become a force to be reckoned with, inspiring homebrewers all over the globe. Pipola’s hope is that homebrewing can galvanize people in the same way here in the UK as it has in the US — whether they want to brew for fun, or potentially turn it into a career.